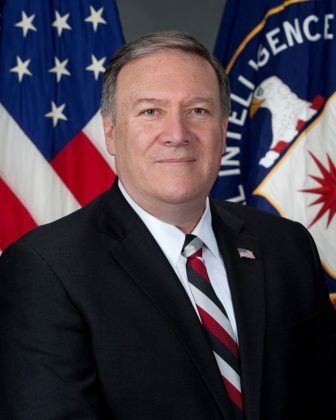 Washington – Sen. Chris Murphy on Monday said he would oppose the confirmation of CIA Director Mike Pompeo to head the State Department. Murphy is the third Democrat on the Foreign Relations Committee to say he will oppose Pompeo’s confirmation, following Sens. Tim Kaine, D-Va., And Jeanne Shaheen, D-N.H.
Pompeo will need bipartisan support to clear the panel, which Republicans govern with a narrow 11-10 majority. Republican Rand Paul of Kentucky, a member of the committee, opposes the nomination. Without Democratic support in the Foreign Relations Committee, the Trump administration could face an unprecedented scenario where a secretary of state nominee can’t clear the panel and Republican leaders would have to decide whether to take the matter straight to the Senate floor for a vote. At Pompeo’s confirmation hearing last week, Murphy asked the nominee about the Trump-Russia investigation of special counsel Robert Mueller, and whether Trump is required to consult Congress before ordering airstrikes on Syria. In January, Pompeo was easily confirmed as head of the CIA on a 66-32 vote in the Senate. Pompeo, a former member of Congress, had some Democratic support in that confirmation vote, and the only Republican in opposition was Paul. A storm in the Northeast prevented Murphy and fellow Connecticut Sen. Richard Blumenthal from making it to Washington in time for the vote. Blumenthal and Murphy had said they planned to vote “no” on the confirmation of Pompeo for CIA director.